Chad President Idriss Deby has fired his armed forces chief of staff following the latest bout of unrest which culminated in a Boko Haram attack that left 23 dead. Deby fired Brahim Seid Mahamat and his two deputies by presidential decree after six years in the post on Friday night just hours after the attack in the southwest of the country. The soldiers were killed after coming under attack from jihadists in the early hours of Friday morning in the deadliest attack on the Chadian military by Boko Haram, which launched an insurgency in Nigeria a decade ago. The unrest has spread to neighbouring Niger and Chad with the Boko Haram revolt to date claiming more than 27,000 lives and uprooting more than 1.7 million people. Friday’s attack took place at Dangdala, on the northeastern bank of Lake Chad. Thursday had seen another attack by the group kill eight civilians at Karidi in southeastern Niger in the Diffa region bordering Lake Chad, The area is one of the worst-hit areas for jihadist attacks in Niger. Troops from Cameroon, Chad, Niger and Nigeria have been grouped into a multi-national force to fight Boko Haram. Deby’s reorganisation of security — which included the suspension of the air force chief and his deputy — saw army chief of staff Taher Erda take the top job with a general from the northeastern region of Tibesti made chief advisor on national defence issues. Erda is a Deby loyalist and former police chief who fought alongside the president before he took power in 1990. The air force suspensions followed the discovery of debris from an helicopter which went missing more than a week ago in the north. The sparsely populated, mainly desert region near the border with Sudan, Libya and Niger is volatile prone to attack from Chadian rebel groups based across the Libyan border. In late January, France pounded Chadian rebels who had crossed back into their country from Libya to halt their incursion. Nigerians warned to be sure those they engage as house maids are really girls. A shocking trending video making the rounds online has called for caution among Nigerians to be very careful when employing house maids. Two boys who disguised perfectly as girls were recently apprehended by the authorities after they were discovered to be what they are not.After they were arrested and taken to the station, the boys allegedly confessed that they pretended to be girls in order to be employed. Imagine what they would have done to the female children left in their care. They were asked to show their private parts (including the fake breasts) right there in the station as they were filmed. A Facebook user who posted the video online urged people to thoroughly check housemaids before employing them. Washington State University (WSU) researchers have found a variety of diseases and other health problems in the second- and third-generation offspring of rats exposed to glyphosate, the world’s most used weed killer. In the first study of its kind, the researchers saw descendants of exposed rats developing prostate, kidney and ovarian diseases, obesity and birth abnormalities. 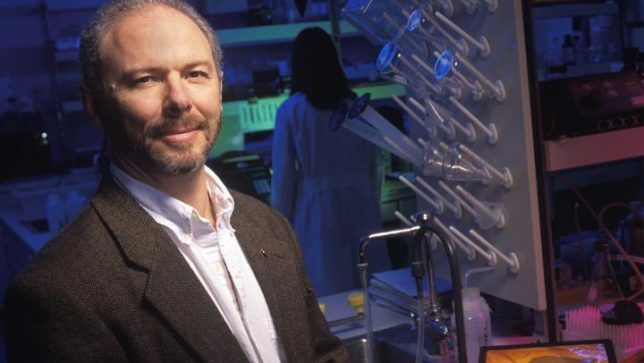 Michael Skinner, a WSU professor of biological sciences, and his colleagues exposed pregnant rats to the herbicide between their eighth and 14th days of gestation. The dose–half the amount expected to show no adverse effect–produced no apparent ill effects on either the parents or the first generation of offspring. But writing in the journal Scientific Reports, the researchers say they saw “dramatic increases” in several pathologies affecting the second and third generations. The second generation had “significant increases” in testis, ovary and mammary gland diseases, as well as obesity. In third-generation males, the researchers saw a 30 percent increase in prostate disease – three times that of a control population. The third generation of females had a 40 percent increase in kidney disease, or four times that of the controls. More than one-third of the second-generation mothers had unsuccessful pregnancies, with most of those affected dying. Two out of five males and females in the third generation were obese. Skinner and his colleagues call this phenomenon “generational toxicology” and they’ve seen it over the years in fungicides, pesticides, jet fuel, the plastics compound bisphenol A, the insect repellant DEET and the herbicide atrazine. At work are epigenetic changes that turn genes on and off, often because of environmental influences. The chemical has been the subject of numerous studies about its health effects. The Skinner study is the third in the past few months out of Washington alone. A University of Washington study published in February found the chemical increased the risk of non-Hodgkin lymphoma by as much as 41 percent. A Washington State University study published in December found state residents living close to areas subject to treatments with the herbicide are one-third more likely to die an early death from Parkinson’s disease. The chemical’s generational toxicology represents a new downside that Skinner and his colleagues said should be incorporated into estimates of its risk. A baby affected with measles. Photo credit: Google/Nigeria Galleria. NEARLY four million Nigerian children under one year of age missed out on the first dose of measles vaccine in 2017, according to a UNICEF press release. Nigeria had the highest number of unvaccinated children under one year of age against measles at nearly 4 million in 2017, according to the UN children Agency release which is part of the actions taken in the ongoing World Immunization Week. Celebrated in the last week of April, World Immunization Week aims to promote the use of vaccines to protect people of all ages against disease. UNICEF said in the statement that the “widening pockets of unvaccinated children have created a pathway to the measles outbreaks hitting several countries around the world today”. The UNICEF analysis comes after preliminary global data that indicated that the number of measles cases in the first quarter of 2019 has tripled compared with the same in 2018. “So far this year, 170 countries have reported 112,163 measles cases to WHO. At this time last year, 163 countries had reported 28,124 cases,” WHO said in the preliminary report. The health agency had said measles is entirely preventable with the right vaccines. But global coverage of the first immunisation stage has stalled at 85 per cent, against the 95 per cent needed to prevent outbreaks. According to the UNICEF statement today, an estimated 169 million children missed out on the first dose of the measles vaccine between 2010 and 2017. It added that over 21 million missed the vaccine globally every year on average. The agency included that the situation is critical in the low- and middle-income countries where Nigeria falls in. “In 2017, for example, Nigeria had the highest number of children under one year of age who missed out on the first dose, at nearly 4 million,” the statement read in part. Nigeria was followed by India with 2.9 million, Pakistan and Indonesia with1.2 million each, and Ethiopia that had 1.1 million unvaccinated children. “The ground for the global measles outbreaks we are witnessing today was laid years ago,” said Henrietta Fore, UNICEF Executive Director in the press statement. UNICEF included that two doses of the measles vaccine are essential to protect children from the disease. However, the agency noted that due to lack of access, poor health systems, complacency, and in some cases fear or scepticism about vaccines, the global coverage of the first dose of the measles vaccine was reported at 85 per cent in 2017, a figure that has remained relatively constant over the last decade despite population growth. Global coverage for the second dose is much lower, at 67 per cent while the WHO recommended a threshold of 95 per cent immunization coverage to achieve so-called ‘herd immunity’. Worldwide coverage levels of the second dose of the measles vaccines are even more alarming, according to UNICEF. “Of the top 20 countries with the largest number of unvaccinated children in 2017, nine have not introduced the second dose. Twenty countries in sub-Saharan Africa have not introduced the necessary second dose in the national vaccination schedule, putting over 17 million infants a year at higher risk of measles during their childhood,” part of the statement read. UNICEF noted its pledge to help address the measles crisis with other partners such as Measles and Rubella Initiative and Gavi, the Vaccine Alliance. The agency said its working to reduce the cost of the vaccine and to help countries identify underserved areas and unreached children. Another thing the agency said is to work with relevant countries to introduce the second dose of the measles vaccine in the national immunization schedule. It noted that “Nigeria, Cameroon, and Liberia and are on track to do so in 2019”. FIVE oil wells in Ajegunle Ikorigho community in Illaje local government, Ondo State on Thursday went up in flames and the cause of the fire is yet to be ascertained. The affected oil wells are Ojumole oil field, Isan-West field, Parable field, Malu field, Ororo and Opokaba. Several communities affected by the fire include Otumara, Ikorigho, Ajegunle-Ikorigho, Zion Ikorigho, Iluayo, Kendo Ayeren and Ehinmoghan-Ikorigho communities. The Ojumole oil field was part of the 14 onshore oil wells ceded to Ondo state in 2004 by the Delta state government after the resolution of boundary area conflict between the two states. The ICIR contacted the National Emergency Management Agency, NEMA, spokesperson Sani Datti, but he said he was unaware of the incident because he was out of the office. ” I am not in the office currently so I can’t tell you anything about the fire outbreak because I’ve not been briefed,” he said. On Sunday, Aiteo Eastern Exploration & Production Company Limited declared a force majeure on the Nembe Creek Trunk Line (NCTL) after a fire outbreak was discovered on a section of the pipeline. The NCTL, located in Rivers state, is a 100-kilometre long pipeline that transports up to 150,000 barrels per day, bpd, of the Bonny Light crude out of the country through the Bonny Crude Oil Export Terminal operated by Shell Petroleum Development Company (SPDC). The NCTL shutdown is the second in two months as operations only resumed on March 7 following the plugging of a leak which necessitated the shutdown of the facility on February 28. The pipeline has been a target of oil thieves and vandals since it was inaugurated after Aiteo purchased a 45 per cent stake from SPDC in 2015. For Ada Onche, a teacher who worked with the Benue State Teaching Service Board, for over 35 years until she retired from the state’s civil service in 2014 she finds it difficult to understand why she is still owed her monthly pension by the Benue State government for over 17 months. Her worry is that despite the monthly allocation disbursed from the Federation Account Allocation Committee, FAAC, to Benue State alongside the State’s Internally Generated Revenue, she can’t understand why she is yet to be paid. “I don’t understand what they use the federal government monthly allocation for, when they cannot pay pensioners their dues after putting the productive stage of our lives into the civil service,” she told The ICIR. Data obtained from the National Bureau of Statistics, NBS, reveals that Benue State received a total of N39.8 billion from FAAC in 2017 after its debts service payments were deducted. This amount could barely execute its 2017 budget, pegged at N163.8 billion even though the state received additional N20.6 billion from the refunds of the Paris Club loans released in two tranches in 2017 which did little to reduce the huge difference between its FAAC disbursements and budget size. From 2015 to 2018, the total FAAC disbursements Benue state received is estimated at N158.8 billion in contrast to its Internal Generated Revenue, IGR, of N35.66 billion between 2015 to June 2018 which accounts for 22.5 per cent of the federal government releases to the state. With regards to debts, Benue’s state domestic debt estimated at N24.99 billion in 2013 has also grown to N74.94 billion in 2017, while its external debt stands at N35.5 billion in 2017 which puts its annual debt growth at 43.2 per cent according to data obtained from BudgiT’s 2018 fiscal sustainability index. These figures put Benue State in a risky fiscal position where it might be unable to pay salaries, fund its capital projects and fulfil its administrative functions. If the State Governor, Samuel Ortom allows this trend to continue, Benue State may soon go bankrupt, and retirees like Onche will be unable to get their entitlements. Nigeria Extractive Industries Transparency Initiative, NEITI, 2017 annual report states that FAAC disbursements to State Governments made up 7.6 per cent to 57 per cent of their budget sizes, an indication that FAAC allocations alone cannot sustain the states if there is no deliberate attempt by governors to improve IGR. A report by BudgiT, a civil society organisation, explains that fiscal sustainability is the ability of a government to sustain its current spending, tax and other policies in the long run without threatening its solvency or defaulting on some of its liabilities or planned expenditures. In a 2018 report, the fiscal sustainability of the 36 states in the federation was measured using three indices namely, the ability of states to meet their recurrent expenditure obligations using state revenue, the ability of the states to fulfill their recurrent expenditure obligations without recourse to debts or grants and the length of time required to pay outstanding debts using today’s revenue. The index scored states on a scale of 100 with Rivers State which scored 18.44, the highest scoring state in the federation. Followed closely by Delta at 17.64, Bayelsa scored 11.41, Lagos scored 10.60 and Akwa Ibom scoring 10.50 which completes the top 5 spots. The states with the least scores include Cross River state – 1.11, Osun – 3.03, Ekiti- 3.45, Adamawa – 3.54, and Bauchi – 4.13. From the analysis of the index, the most fiscally viable states in the country are in the oil-producing South-South region which depends largely on its huge FAAC allocations and an additional 13 per cent derivation from the net oil revenue. Lagos, a state in the South – West, is the only exception. The report showed that in the first six months of 2017, Kano, Rivers, Delta, and Bayelsa were the only states that could effectively meet their recurrent expenditure obligations without borrowing, selling assets or receiving donor funding. All 36 states scored poorly in the fiscal sustainability index which means they are not self-sustaining, and without receiving allocations from the federal government they will become insolvent. With oil sales contributing about 65 per cent to the nation’s revenue, falling oil prices in the international market will bring down revenues of the federal government, causing fiscally – dependent states to fall into distress. The report recommends that state governors need to put on their thinking caps on how to generate monies from their local economies, prioritise their spending’s and reduce their appetite for borrowing which already is at alarming levels. Analysis of FAAC disbursements to the 36 states from 2015 – 2018, shows that a total of ₦7.12 trillion had been distributed amongst the states with huge disparities in the amount received by each state. Revenue from the federation account is shared between the three tiers of government with the federal government staking claim to 52.68 per cent, the 36 state governments share 26.72 per cent and 20.60 per cent is allotted to the 774 local governments. The highest beneficiaries from FAAC allocations are Akwa Ibom, Delta, Rivers, Bayelsa, and Lagos states, which rank among the top 5 beneficiaries. As the chart above reveals, Akwa Ibom, Delta, and Rivers got N594.9 billion, N502.6 billion, and N466.6 billion in that order while Bayelsa and Lagos had N394 billion and N369 billion respectively. Examining first quarterly (from January to March) FAAC releases to states from 2016 – 2018 shows that Osun state received the lowest net disbursement of N4.99 billion while Akwa Ibom got N50.44 billion which is 920 per cent more than what Osun state received. It also showed wide inequality in the amounts received by the different states, five states which received less than N10 billion include Osun, Cross River, Ekiti, Zamfara and Ogun. Twenty six states received between N10.1 billion and N20 billion namely Plateau, Gombe, Adamawa, Nasarawa, Enugu, Kogi, Yobe, Oyo, Jigawa, Bornu, Ondo, Abia, Ebonyi, Taraba, Anambra, Imo, Kebbi, Kano, Sokoto, Kaduna, Katsina, Bauchi, Niger, Enugu, Edo and Kwara. Out of the five states which received N20 billion and above includes Bayelsa, Rivers, Delta, Akwa Ibom and Lagos states. Lagos State is the only State that is not from the oil-producing South-South region. However, the least beneficiaries of the FAAC releases between 2015 – 2018, are Osun state, which received N56.9 billion, Cross River with N104.4 billion, Edo with N109 billion, Ogun with N116.7 billion and Zamfara received N120.5 billion respectively. Available data suggest that with insufficient funds from the federation account to states due to falling oil prices some states have had to increase borrowing to fulfil their obligations. The Nigeria Extractive Industries Transparency Initiative, NEITI, 2017 quarterly reports show that many states have a high debt service payments which are deducted at FAAC before releases to the affected States which is a factor in the differences in the amount received by each state. Osun state has the largest debt service to gross FAAC entitlements which is at 31.79 per cent, while Bornu State had the lowest with 0.44 per cent. All 36 states had some form of foreign debt payments, while 18 states had domestic service debts ranging from 4 per cent to 28 per cent which showed that “the increasing rate of loans to the public sector could affect the private sector and this could suppress private investment, a necessity for economic growth,” the report states. Industry experts suggest that without generating income from other resources within the states apart from borrowing, the growth of their local economies would not flourish. Toyin Akiniyi, a Media associate with the Natural Resource Governance Institute, NRGI, told The ICIR the likely impact of domestic debts on the state governments. The two Chinese men work for a construction firm. Policemen and women currently work a 12-hour, two shift system.